Dents Don’t Stand a Chance…Professional Paintless Dent Repair Services Since 1991. 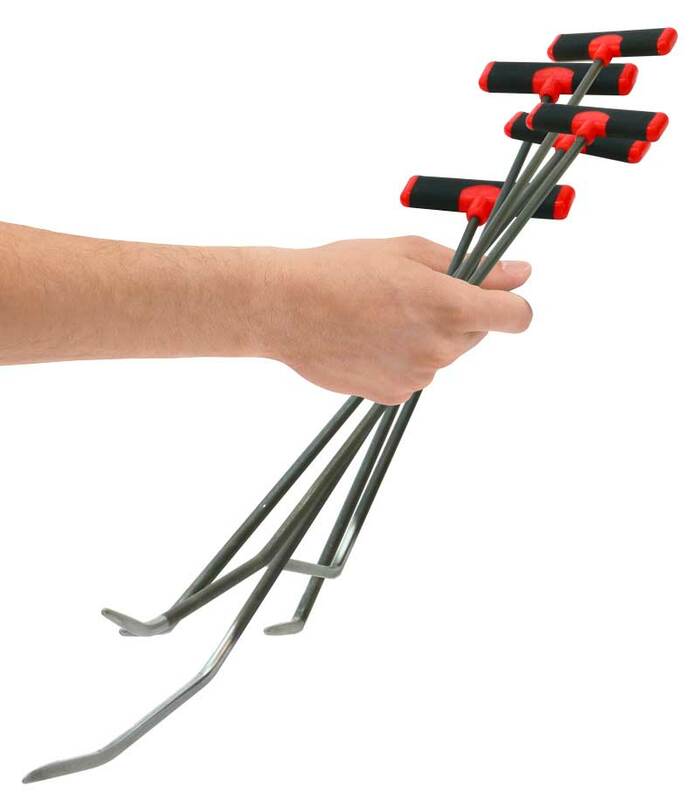 Are you tired of spending your nights and weekends worrying about dents & dings? With our help, you can rest easy and have peace of mind that your automobile is being taken care of. Auto Hail Zone is a paintless dent repair company headquartered in Colorado Springs, CO with catastrophe relief locations in Edmond, OK & McKinney, TX. We are your one-stop shop for all things dents, including hail damage repairs, minor collision repairs, and more! 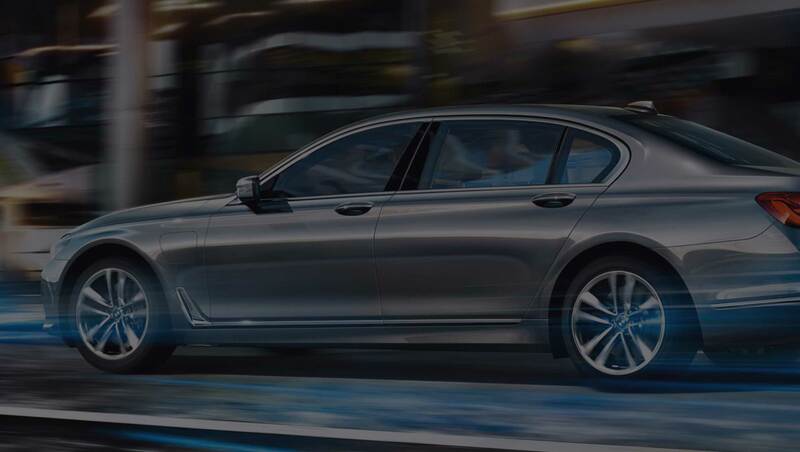 We’ll create a customized & complimentary repair estimate just for you — that saves you both time and money. Paintless Dent Repair is a highly specialized method used to remove minor dents & dings from vehicles. 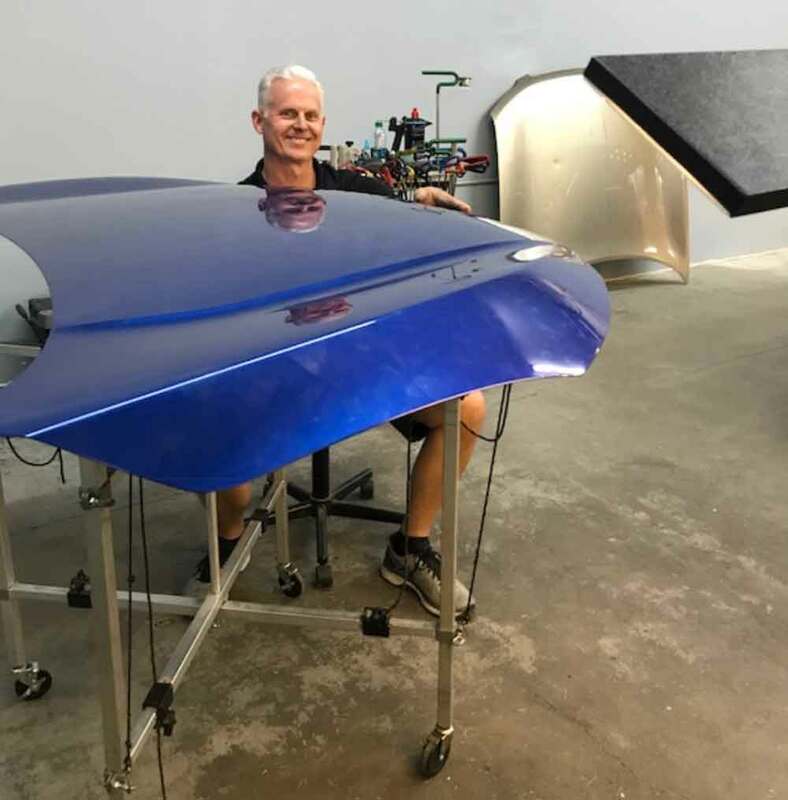 The PDR process requires no fillers, paint or body shop work, therefore, preserving the factory paint warranty and less time for repairs for your vehicle to be in our repair facility. Learn more. 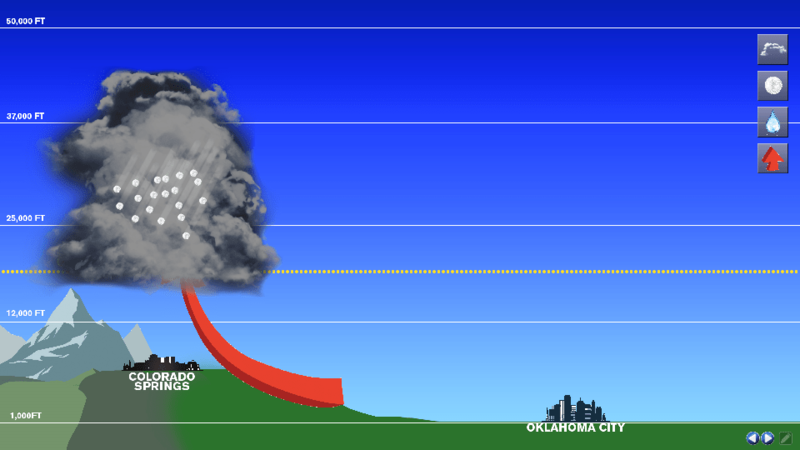 When a hail storm hits, avoiding hail damage is nearly impossible. 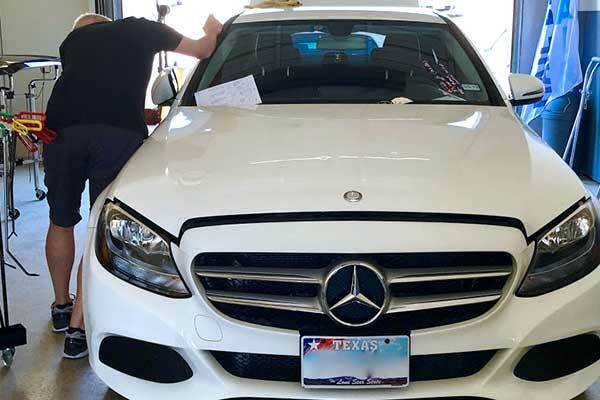 Paintless Dent Repair is the preferred method of hail damage repair by insurance companies because it requires less repair times for their insured which means you’re back in your newly repaired vehicle in no time. Learn more. Auto Hail Zone offers complimentary same-day inspections & hail damage repair appointments available for your convenience. Need us to come to you for an assessment? Call a location near you or schedule online for immediate assistance. Dents don’t stand a chance. Auto Hail Repair with PDR reverses the effects of a hail storm. We are Mother Natures worst nightmare. We know that experiencing hail damage to your vehicle is neither fun nor pleasant, which is why we are here for our customers every step of the way. Our team of professionals will personally walk you through every step of the auto hail repair process. From filing the initial claim with your insurance company to working alongside the insurance adjuster, Auto Hail Zone is here to make the entire repair process as pleasant and worry-free for our customers as possible. Complimentary Valet. We offer valet pick-up and drop-off services at your home or workplace. ** Rental coverage determined on a case by case basis. Start the hail repair process with Auto Hail Zone. Set up your complimentary hail damage inspection with ease. All we need to know is where you want your vehicle inspected and when you want us to come by. It’s that simple! We’ve completed hundreds of auto hail repairs since we started back in 1991. Here are a few. Dallas, severe damage, repaired in two days, Dallas real estate agent. First hail storm and claim to file, we helped them file the initial claim with their insurance company, set-up their rental, repaired the car in two days after the insurance adjuster came out. John Harding watched as hailstones pummeled his Escalade. It has over $13,000 worth of damage and when we were done, it looked like new, no body shop work, just PDR. He was so pleased! Insurance companies love us so much that they bring their cars to us! A Farmer’s insurance agent had a car with tons of hail damage. He was very happy, sent several neighbor’s and friends to us too. Locally owned and operated in Colorado Springs, CO since 1991, Auto Hail Zone continues to lead the way in quality paintless dent repair & paintless dent removal with our perfected skills and qualified team of professionals. I used these guys last year on two of my vehicles and again this year from Friday the 13th storms, paintless dent removal is the way to go! HIGHLY recommend Auto Hail Zone in McKinney. Thanks, Brian. The owners of Auto Hail Zone are amazing! I took my car in on Saturday and just picked it up and it’s flawless. I learned the owner, Brian M. has been doing PDR since it was invented. It is a local company, not one of those working from a tent and the nicest, most helpful people. I didn’t have to worry about paying the deductible, they offered me a rental they would cover but I had rental coverage with Progressive. I will never use any company that has a 1-800 or 1-855 with NO local number or is setup on a corner working from a trailer or tent, so done with that! Happy to say this company is great! They went above and beyond providing 100% satisfaction! and auto hail repair in Colorado Springs, CO. I have exisiting hail damage from an earlier storm. Can't I just wait until the end of hail season to get my hail damage repaired in case I get hit again? In a perfect world, this absolutely makes sense but unfortuantely, waiting could eliminate the possibility of a viable repair with paintless dent repair, resulting in your hail damaged vehicle needing to go to a body shop with panels needing to be replaced, roof cut and replaced, hood replaced and eliminates the original manufacture warranty on your vehicles paint. 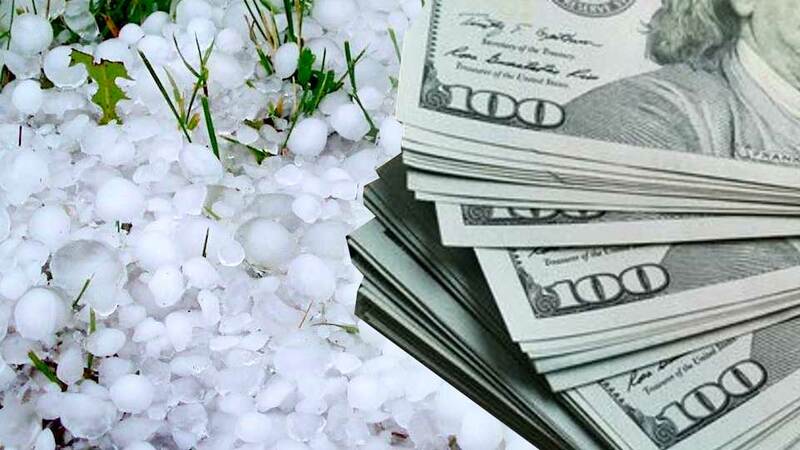 Also, if you wait until the end of hail season to get your vehicle repaired, it may even total if it has been through more than one hail storm because hail on top of hail is not ideal for paintless dent repair, in most cases. 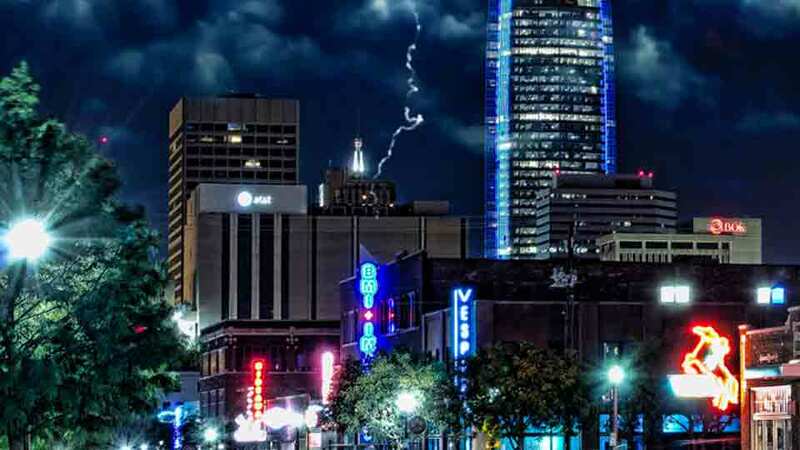 We highly recommend you contact us and set-up an appointment after each hail storm and get an assessment of your damage, we can get you in immediately for repairs and will work directly with your insurance so you pay zero out-of-pocket. How do I know if my hail damage can be repaired with PDR? Most auto hail damage can be repaired with PDR but there are some instances, like the August 6, 2018 hail storm in Colorado Springs, Auto Hail Zone saw baseball & softball sized hail literally punch holes through car panels and destroyed 90% of windshields. 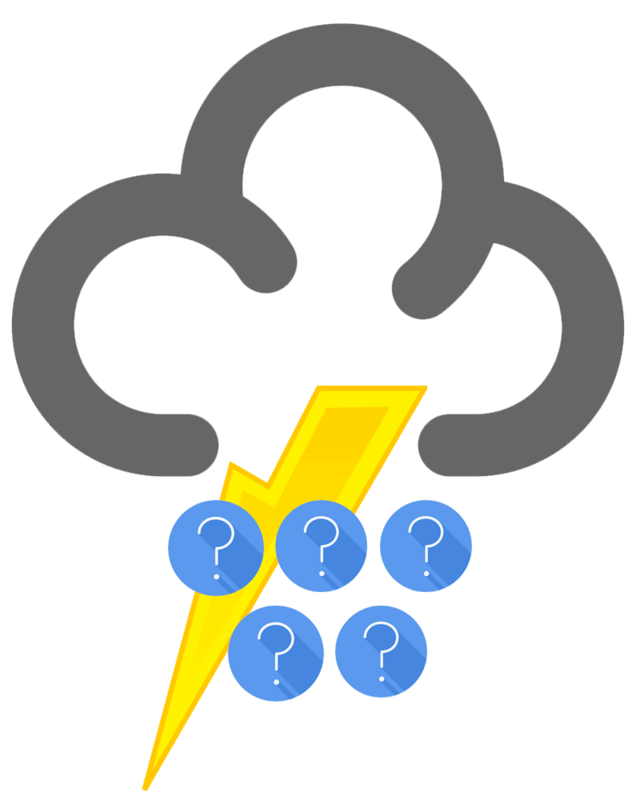 What we like to do is take a look at your hail damage to assess the damage, this usually takes about two to three minutes. We can look at your vehicle the same day you call. We can come to your work or home or you can or come by our repair facility. 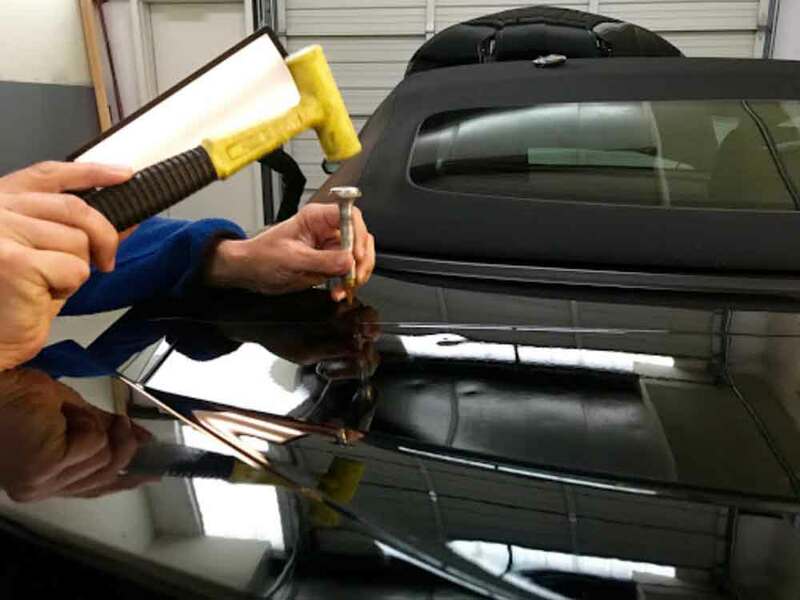 By doing this we will be able to tell if the damage can be repaired with paintless dent repair or be able to advise you of a local body shop that can get you scheduled for repairs. Do you repair auto glass that has been damaged in a hail storm? Yes, we have partnered with locally owned and operated Professional Auto Glass. Ford Thompson, owner and certified glass repair technician, can schedule a time most convenient for you to meet at our repair facility or your home or work. From windshield repairs and replacements to auto hail repair, we’ve got you covered. Do I have to choose a PDR company from my insurance companies "Preferred Body Shop For Repairs" list? No, you do not. The choice is yours. You, the insured, have the right to decide where you want to take your hail damaged vehicle to get it repaired. No insurance company can tell or steer you to their direct repair facility, by law, the choice is always yours, after all, it’s your vehicle so you get to decide what company you feel most qualified and comfortable with for your repairs. Do I have to pay a deductible for auto hail damage repairs? It depends where you take your vehicle for your repairs. 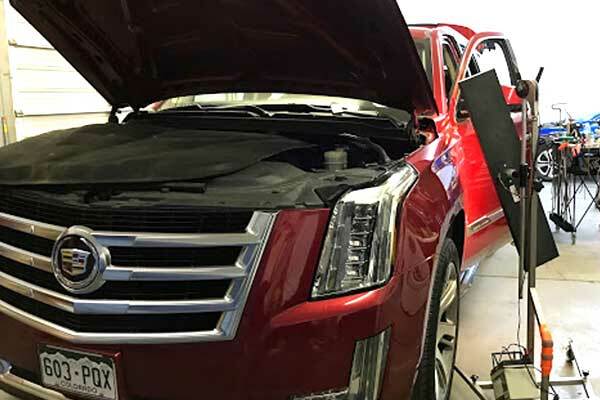 Your insurance company has contracted with several corporate body repair shops which are required to collect your deductible if you choose one of their DRP's, direct repair facilities. We have no contractual agreements with insurance companies but work with all insurance companies, which allows us to waive deductibles at our discretion. Follow Auto Hail Zone for hail season tips & advise, recent news, the paintless dent repair industry, and more. One of the most frequently asked questions we get from customers with auto hail damage is how much it costs to repair. This is what you need to know. Colorado Springs - The Hail Capital of the World? The most brutal storms across the world all occur next to mountain ranges. Colorado Springs residents already know this and are probably sick and tired of hearing about it. 10 Tips For Vehicle Owners With Hail Damage. We answer all of your questions about what to do after a storm. Auto Hail Zone is social! Find tips, get answers to your most frequently asked questions, and cash in on our current promotions.